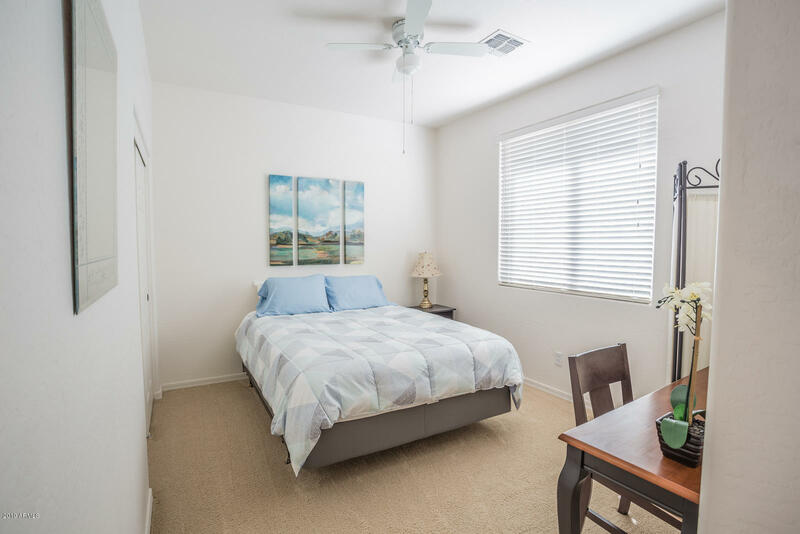 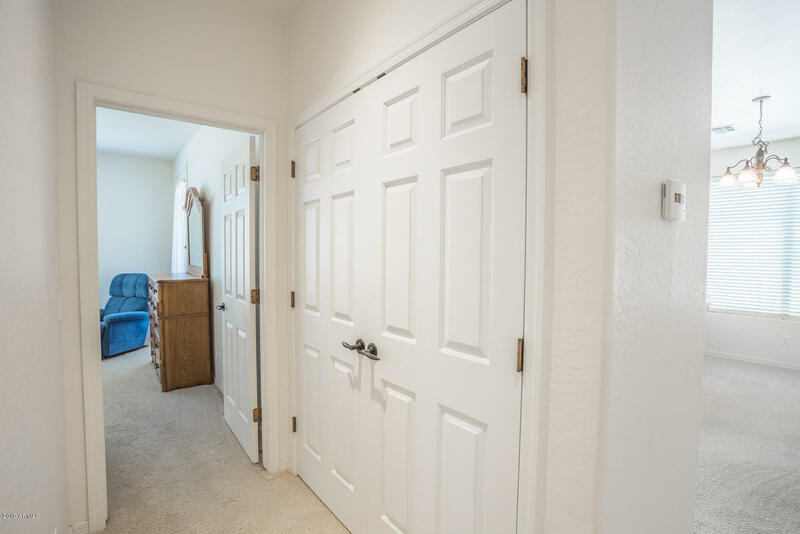 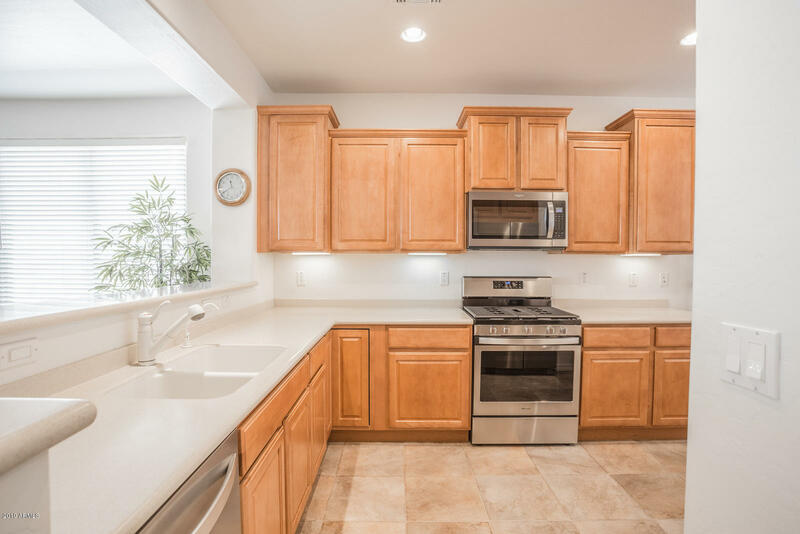 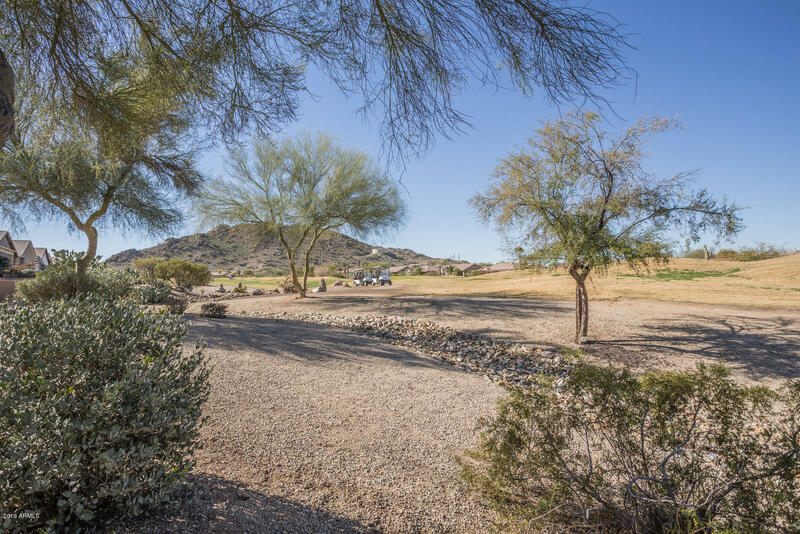 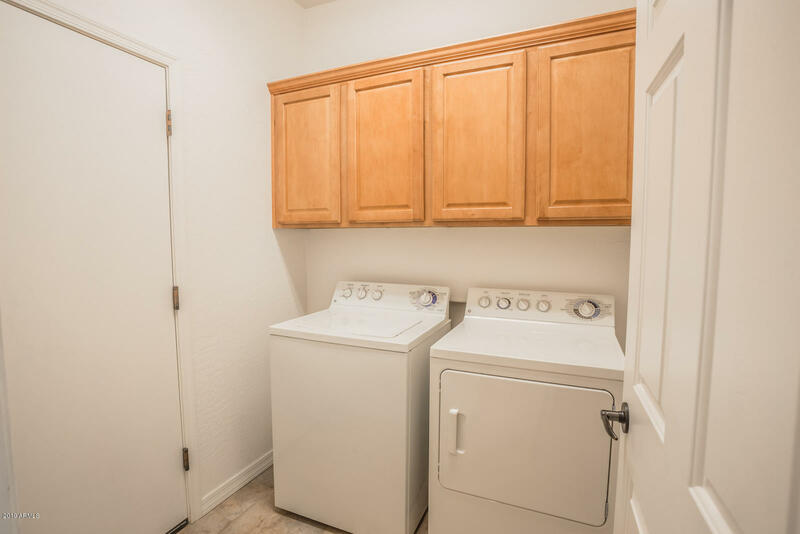 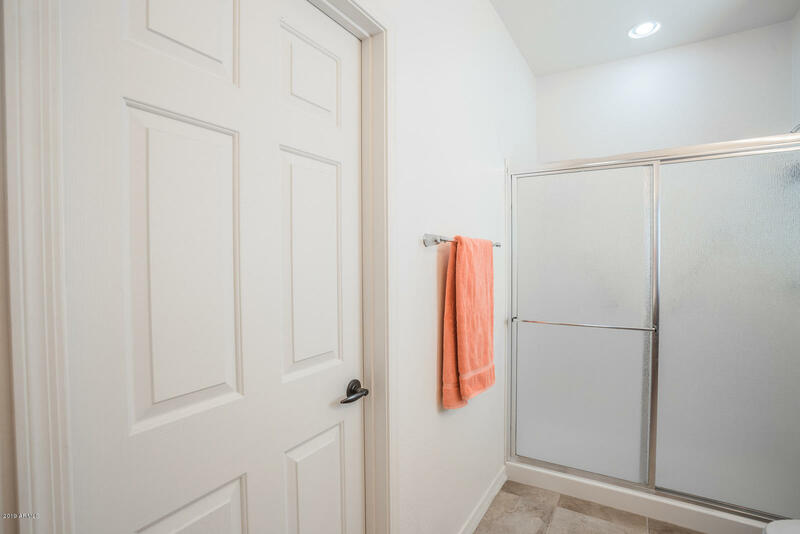 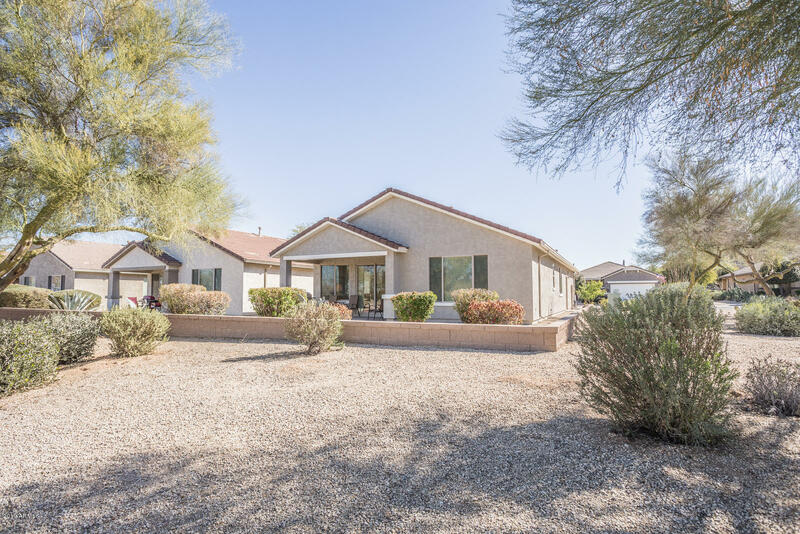 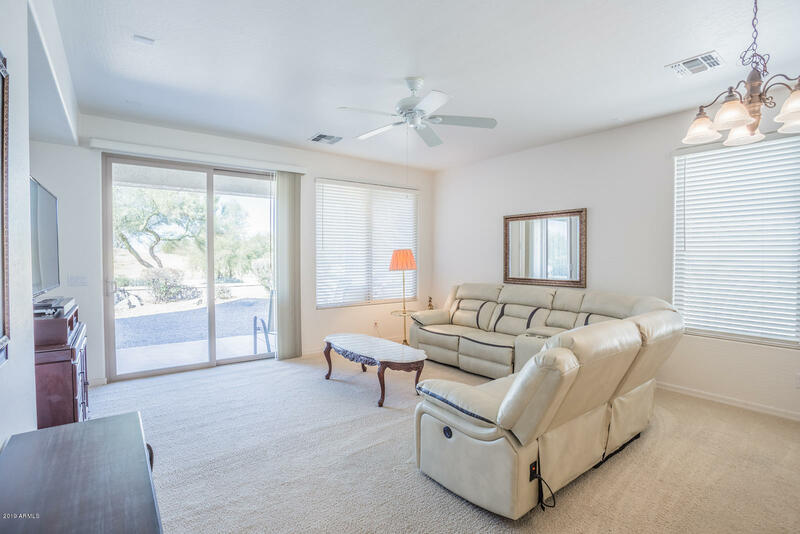 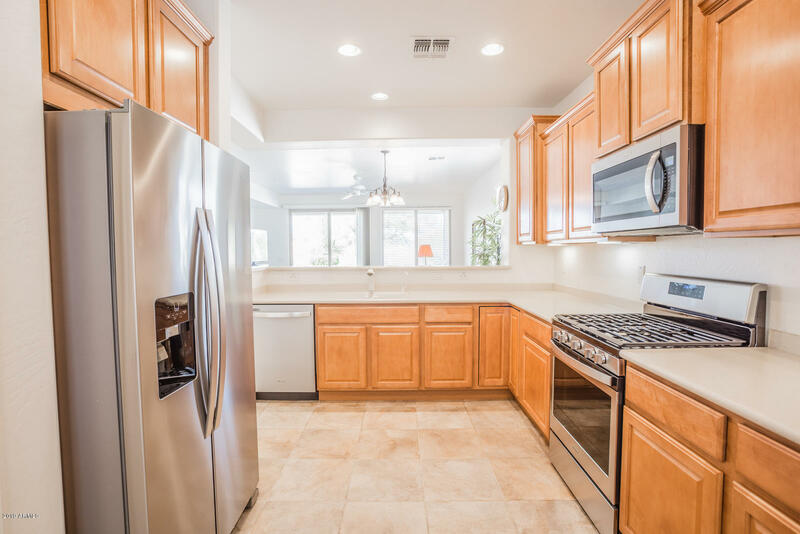 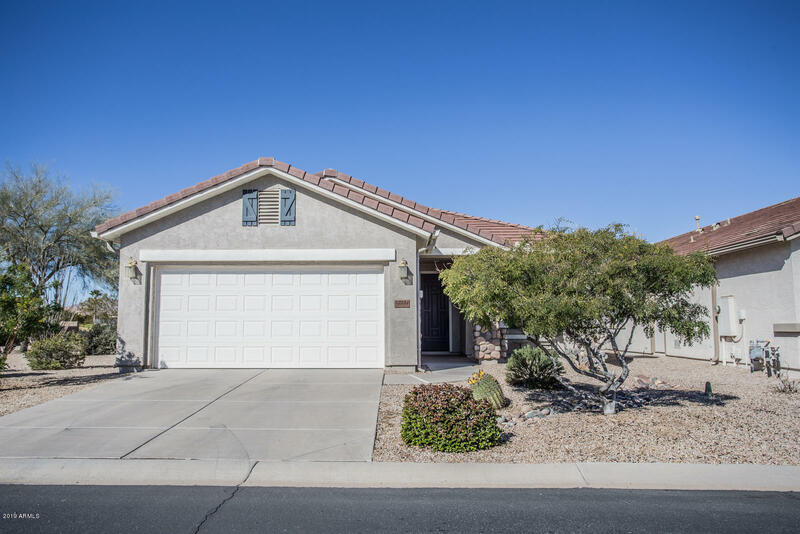 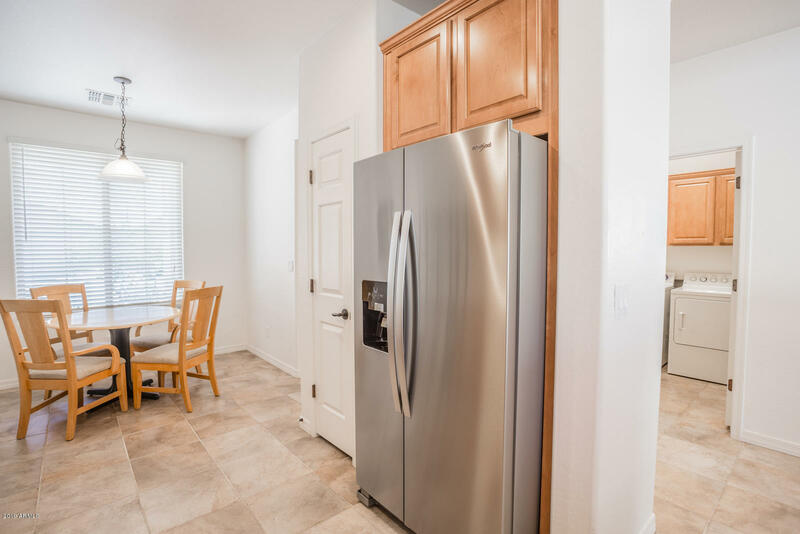 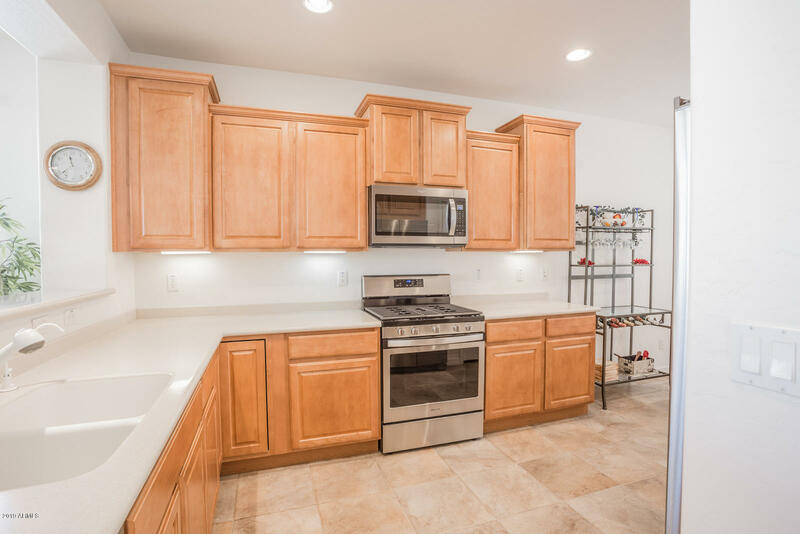 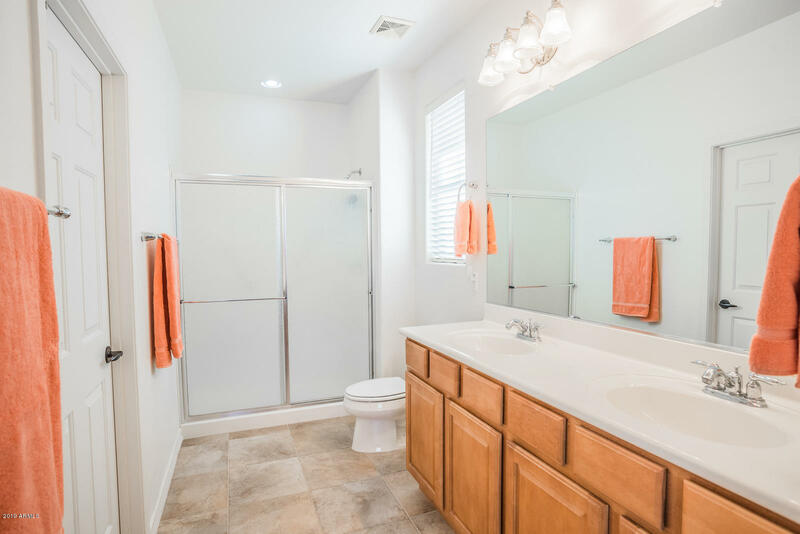 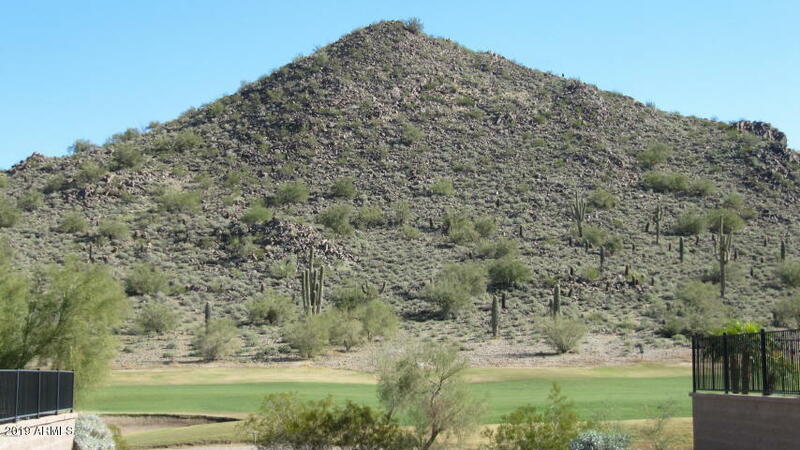 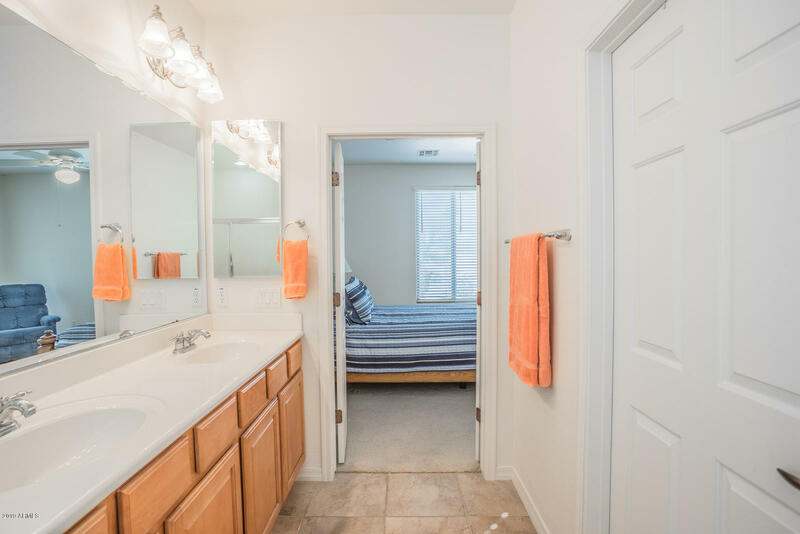 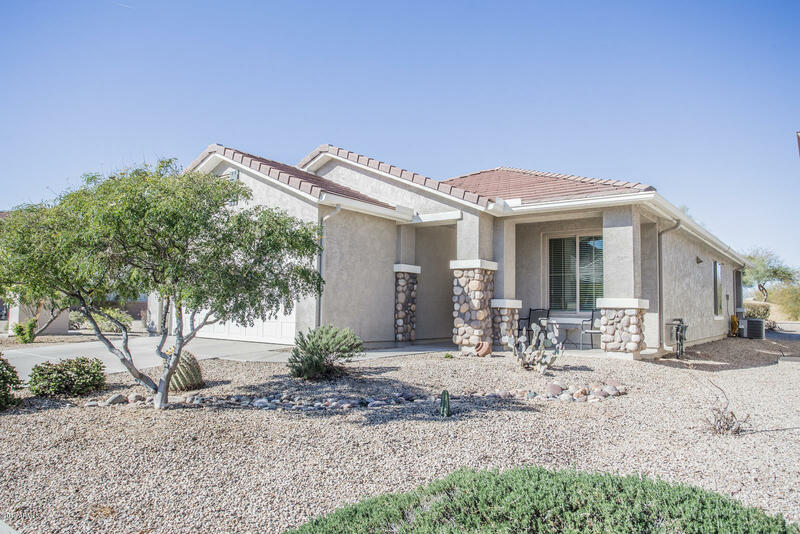 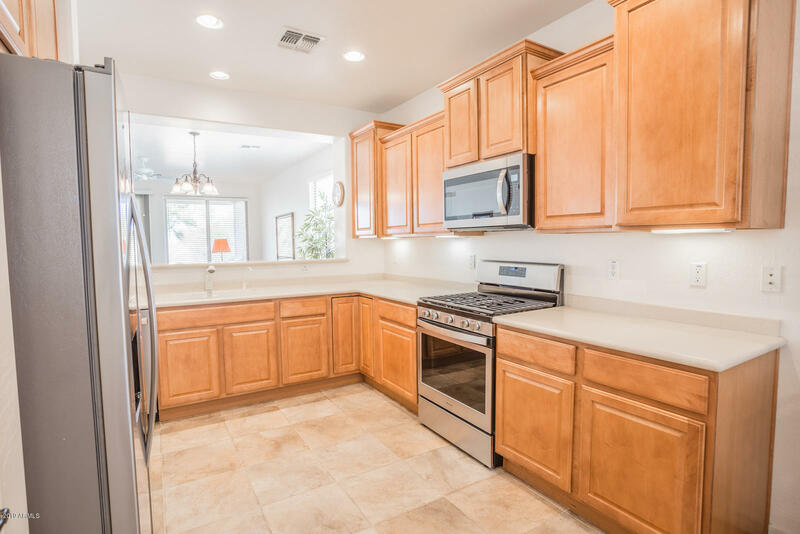 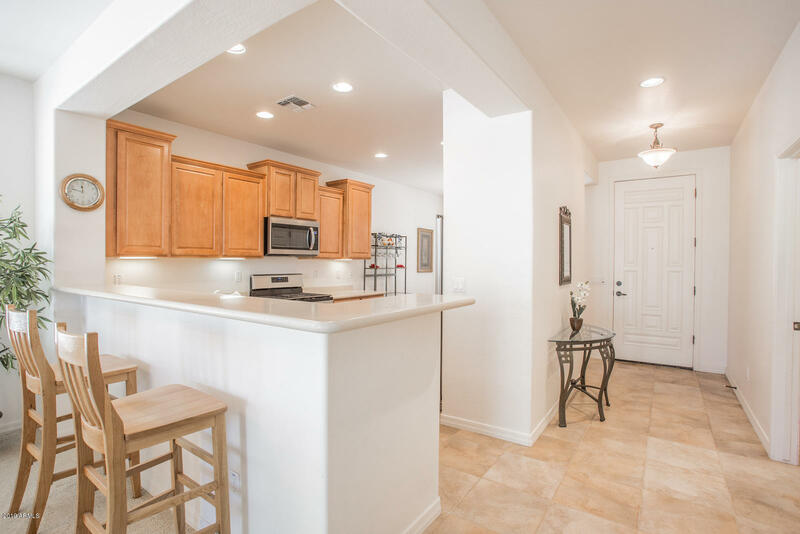 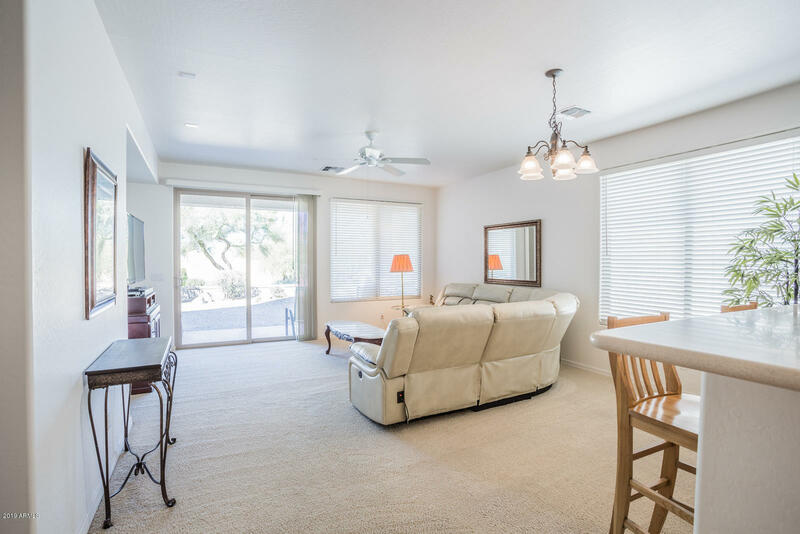 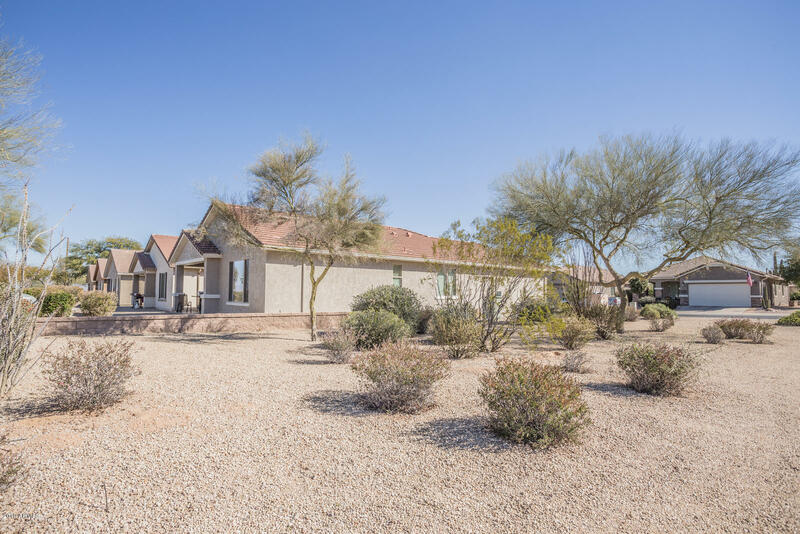 Slightly lived in, well cared for home nestled on the 5th green of the Johnson Ranch Golf Course.The kitchen features updated stainless steel appliances with NEW oven/range, microwave, dishwasher and refrigerator. 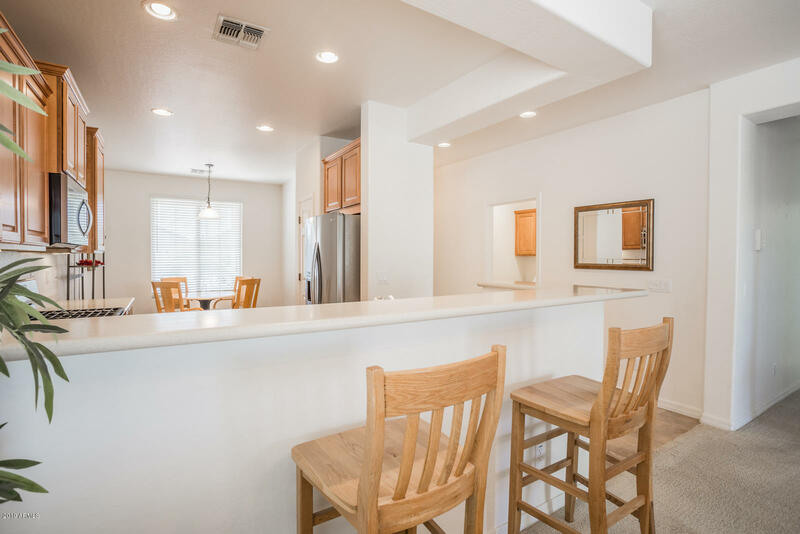 Staggered kitchen maple cabinets, corian counters, NEW RO system, and breakfast nook round out the kitchen. 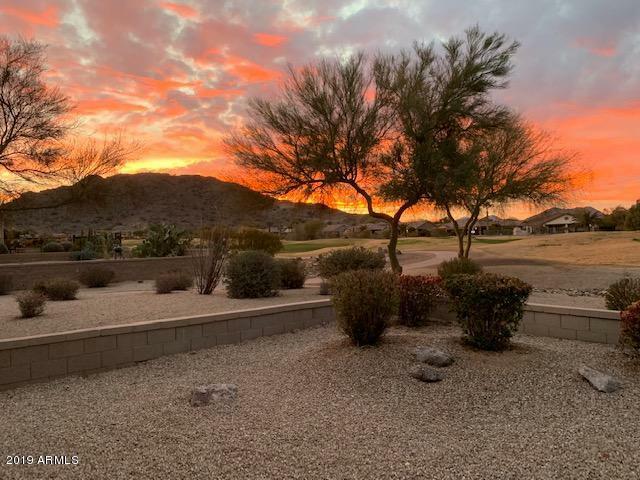 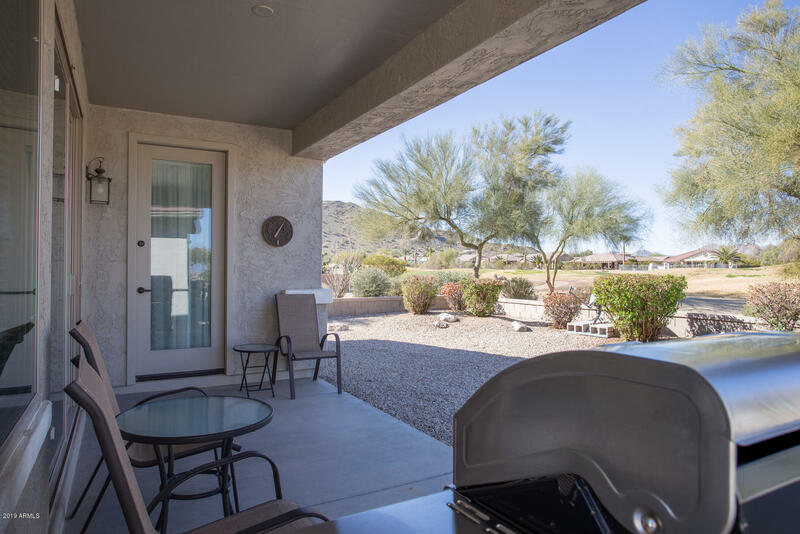 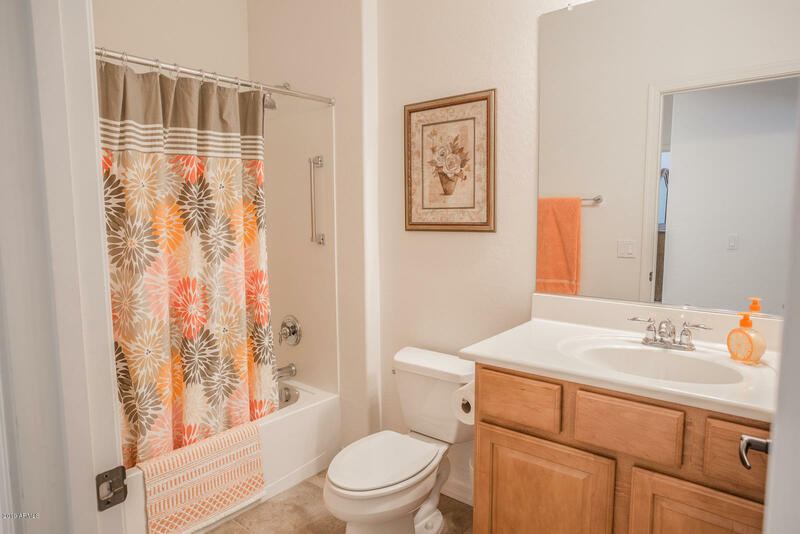 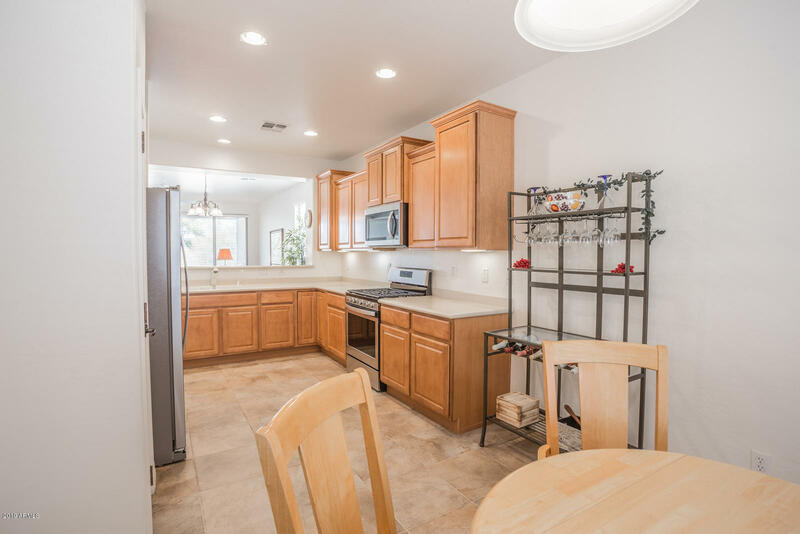 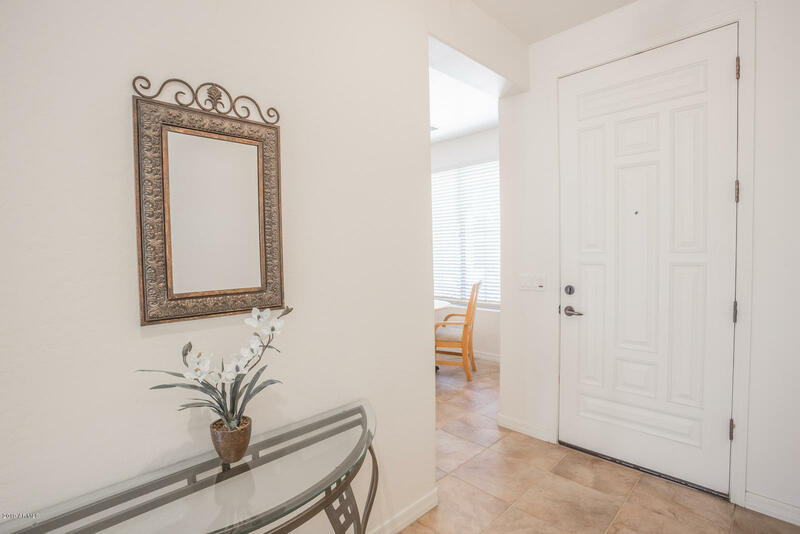 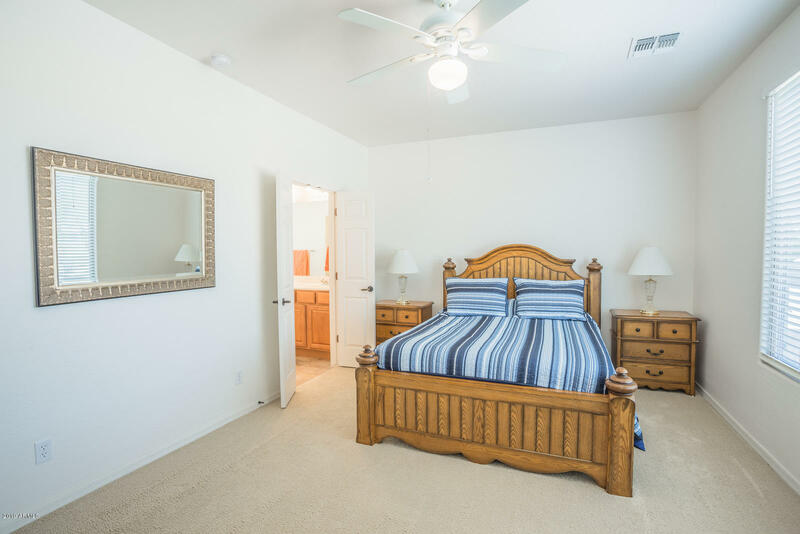 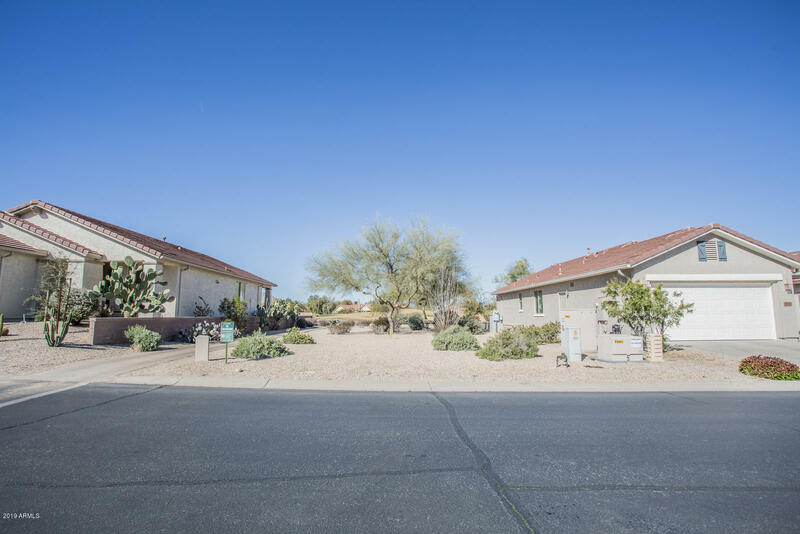 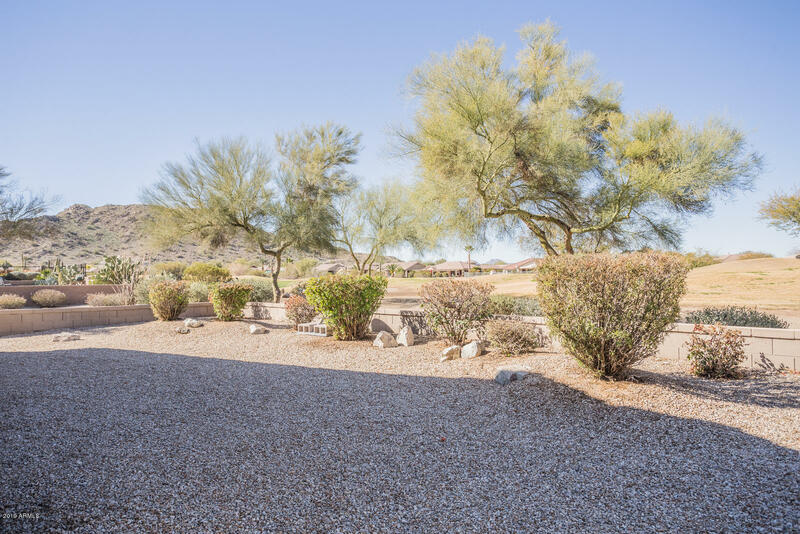 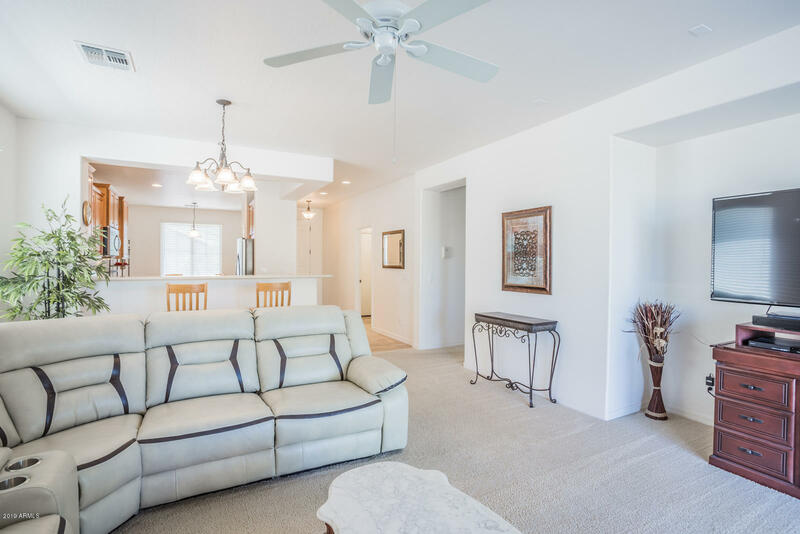 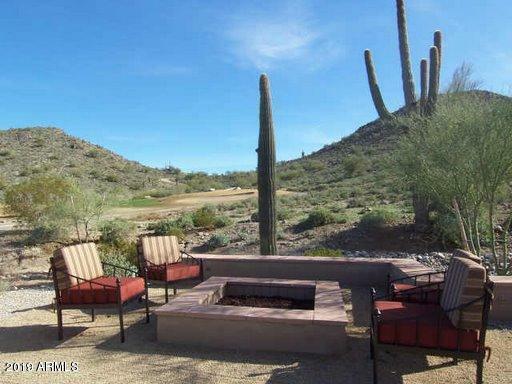 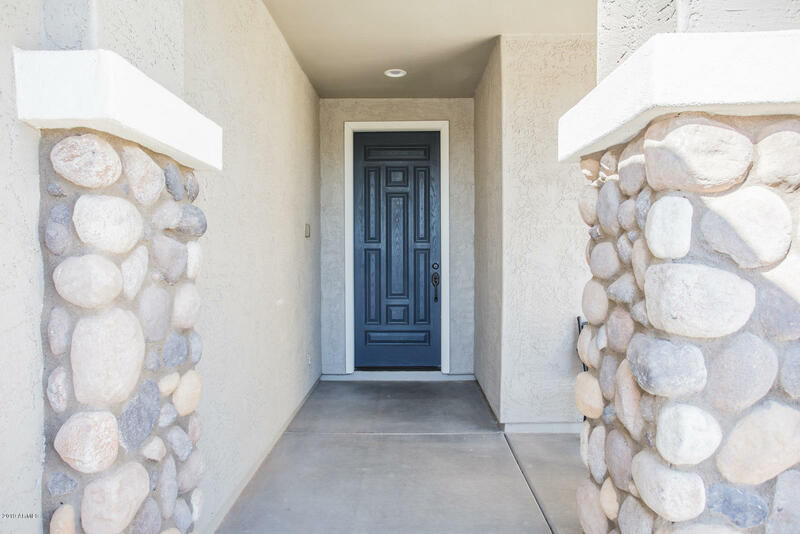 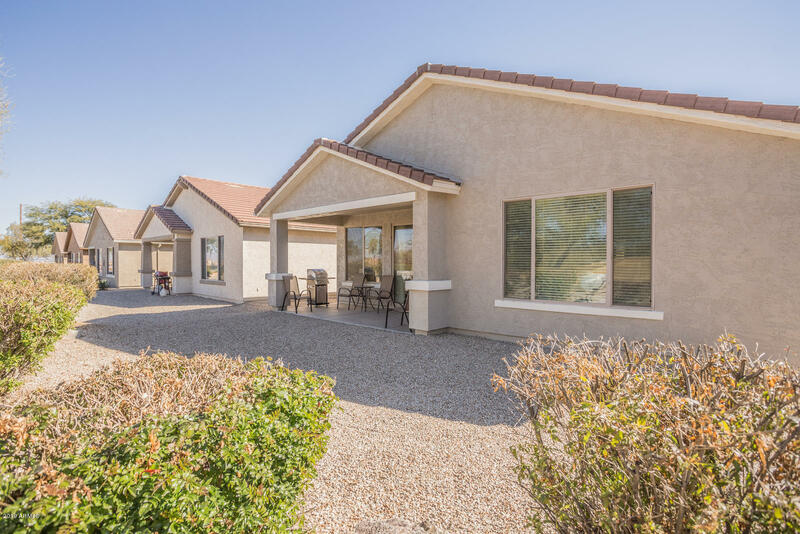 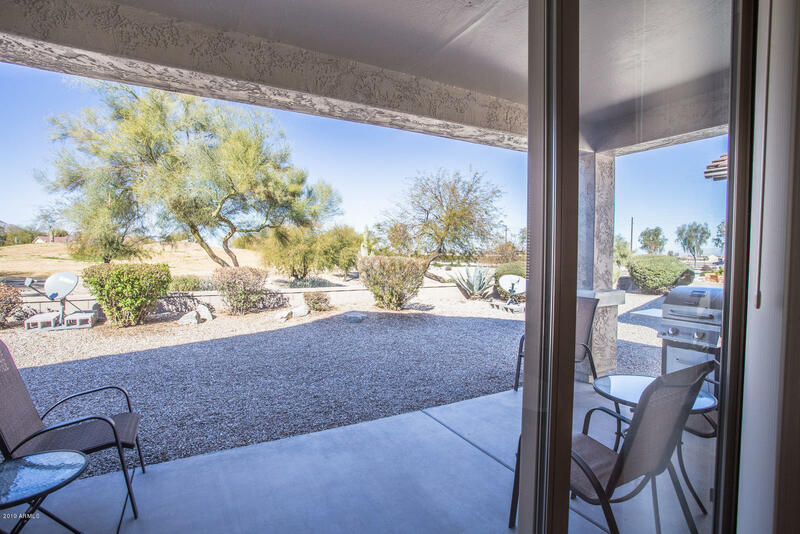 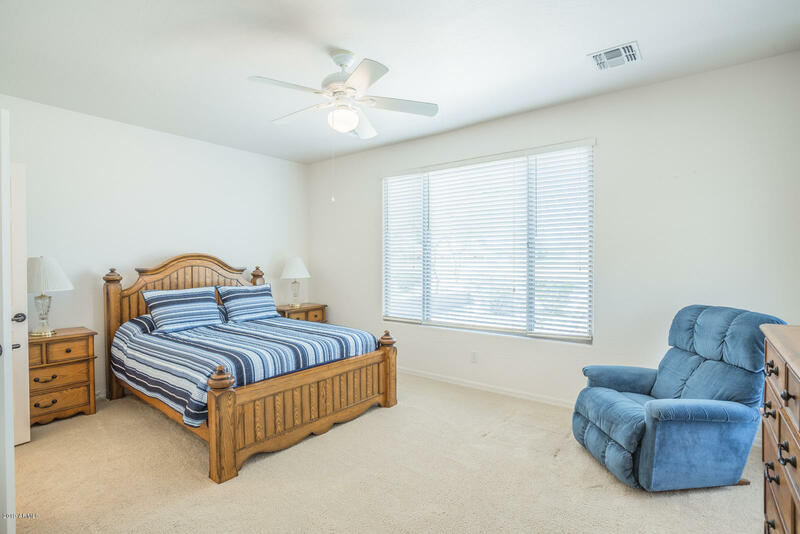 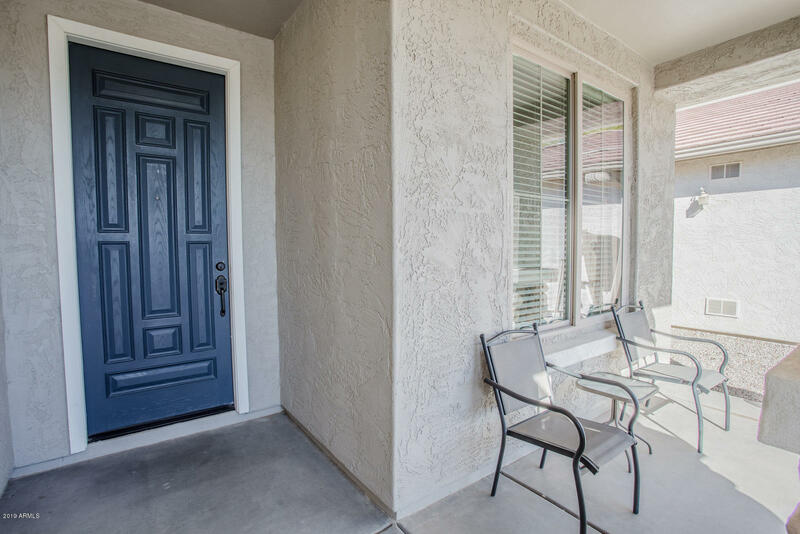 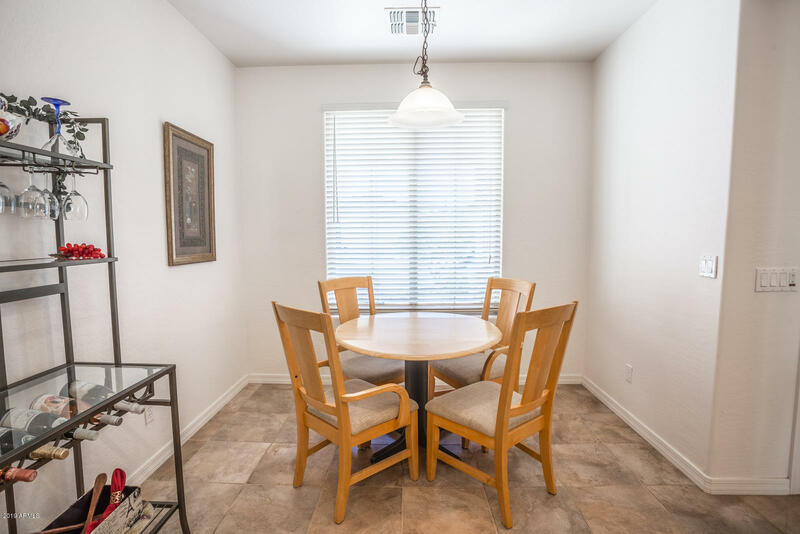 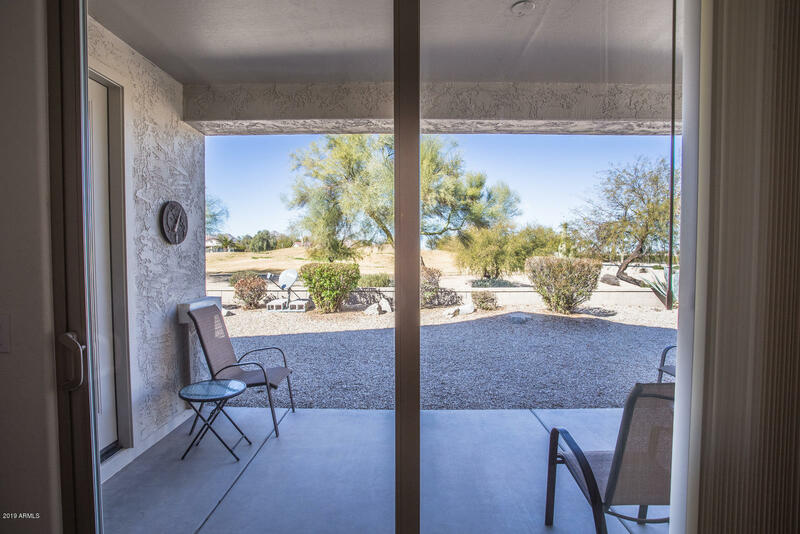 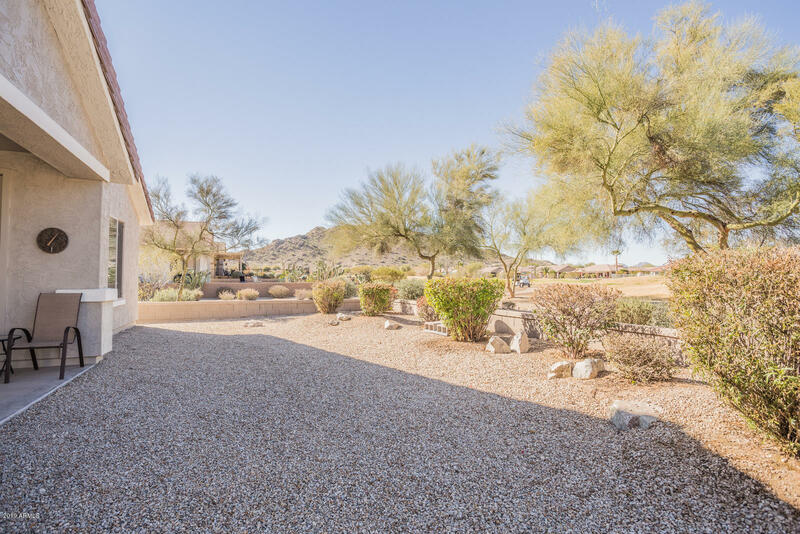 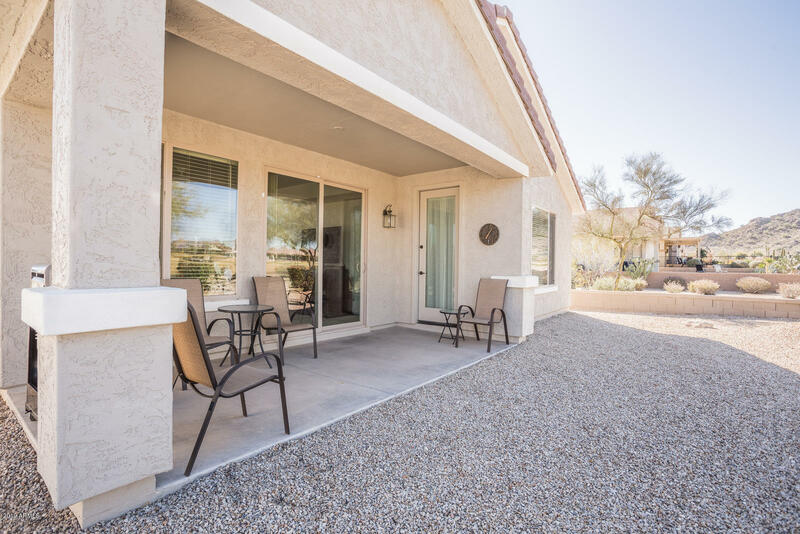 This 2 bedroom 2 bath home offers beautiful evening sunsets, mountain views and plenty of enjoyment in your open backyard. 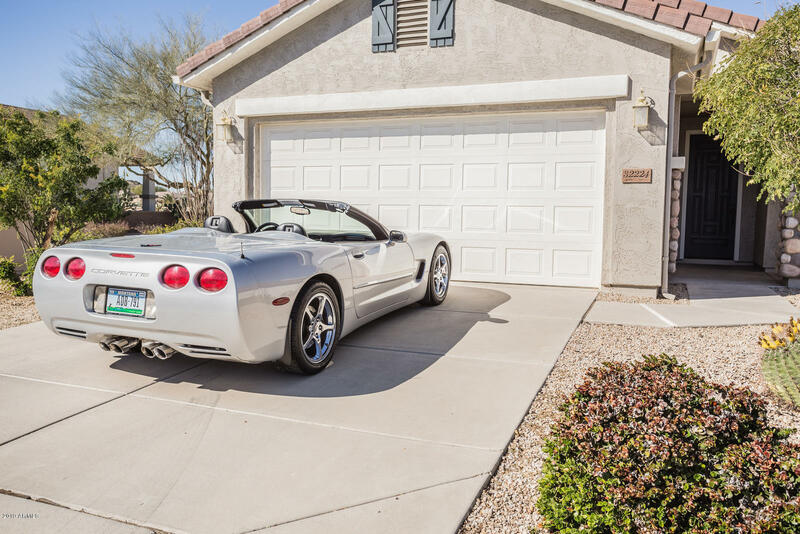 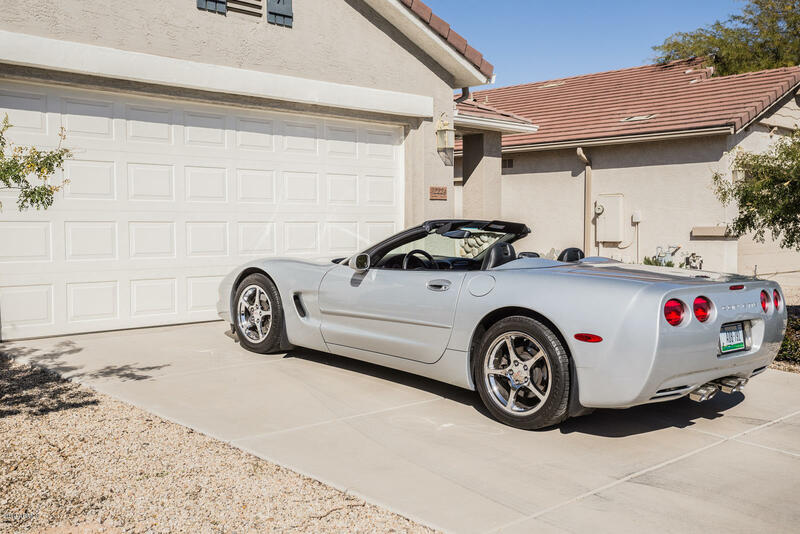 2 car extended length garage fits oversize vehicles. 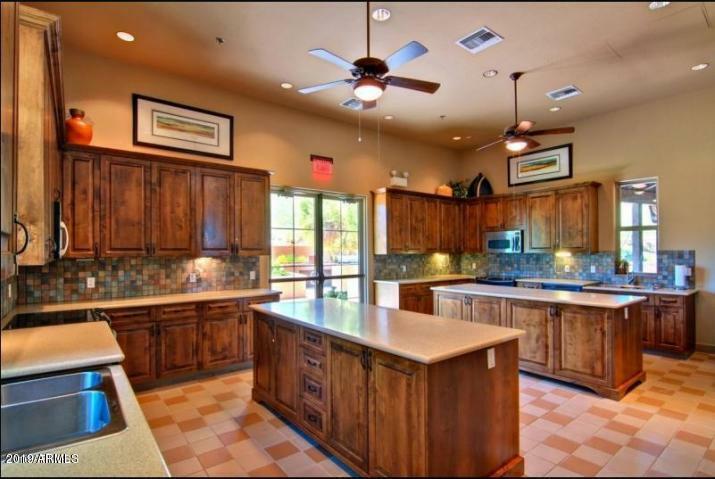 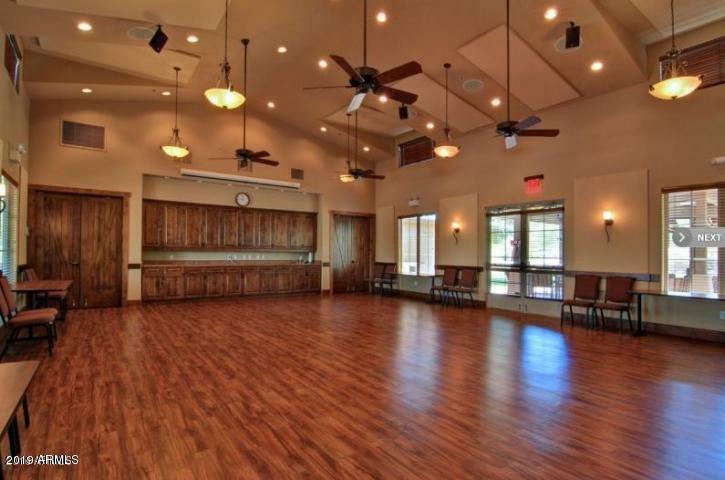 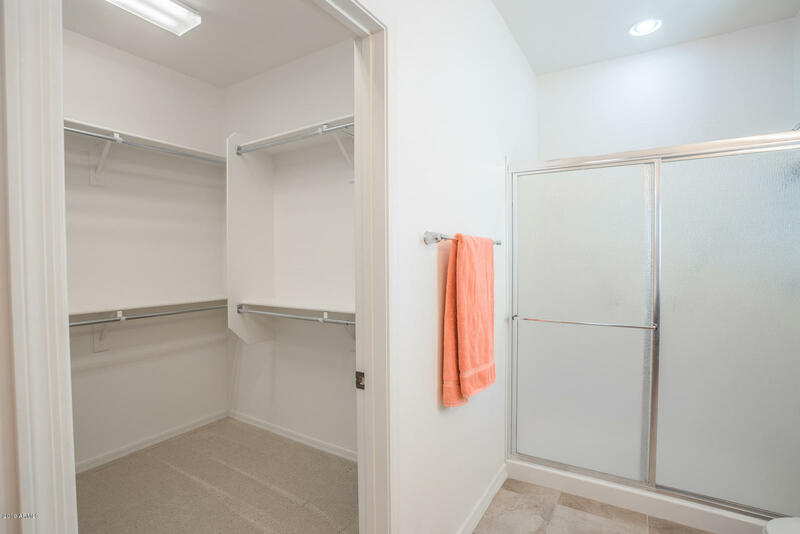 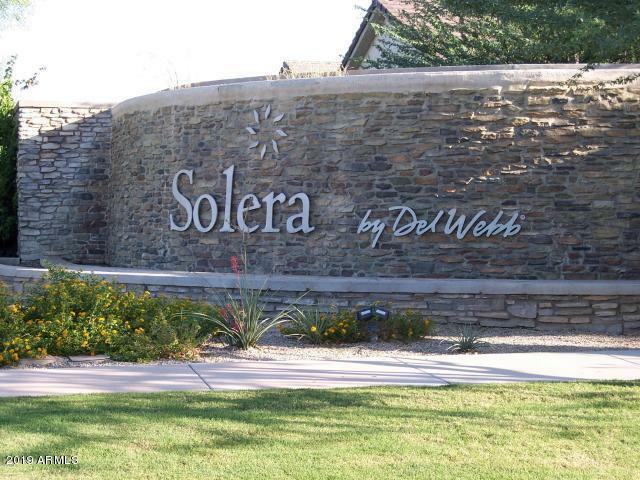 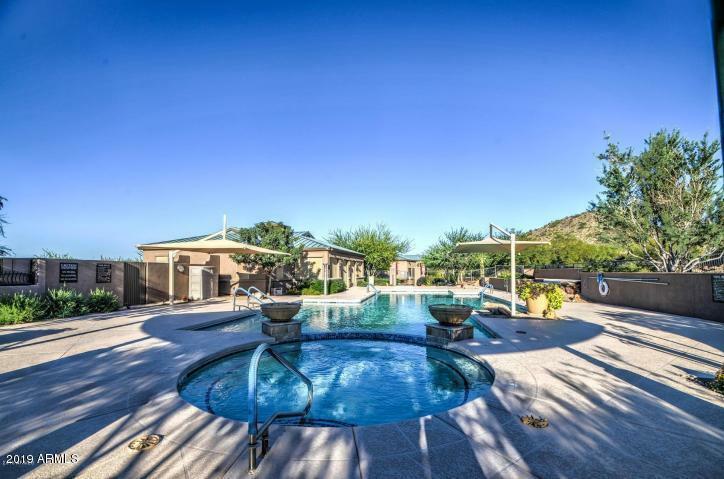 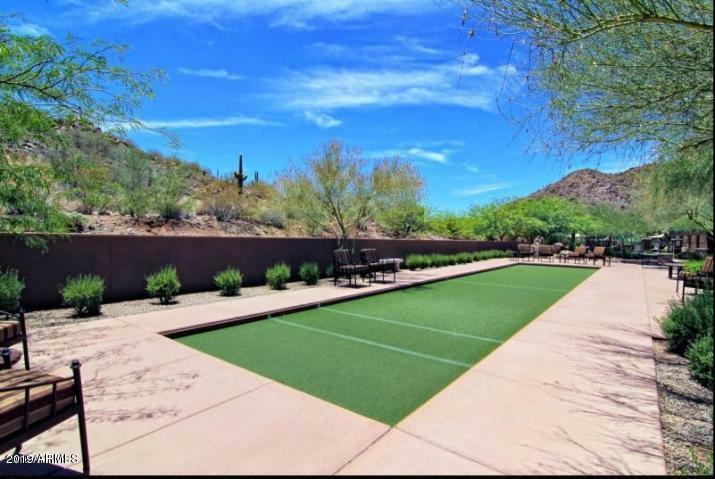 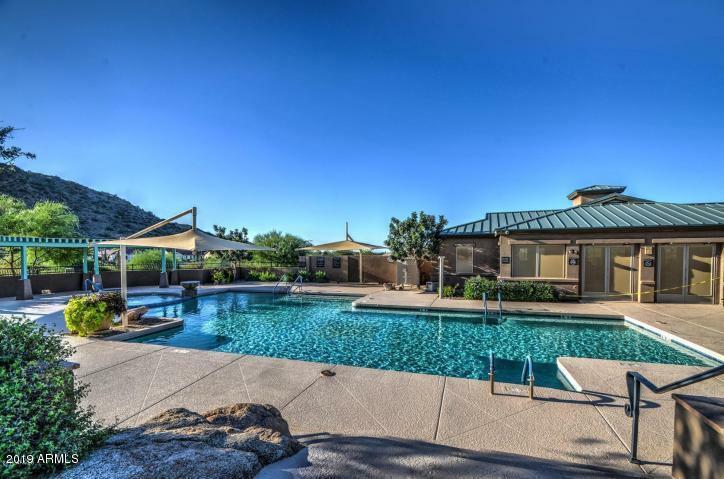 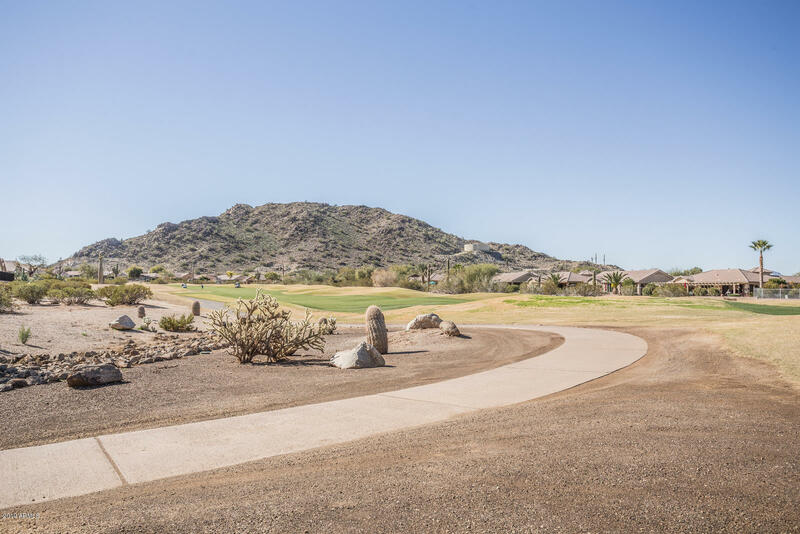 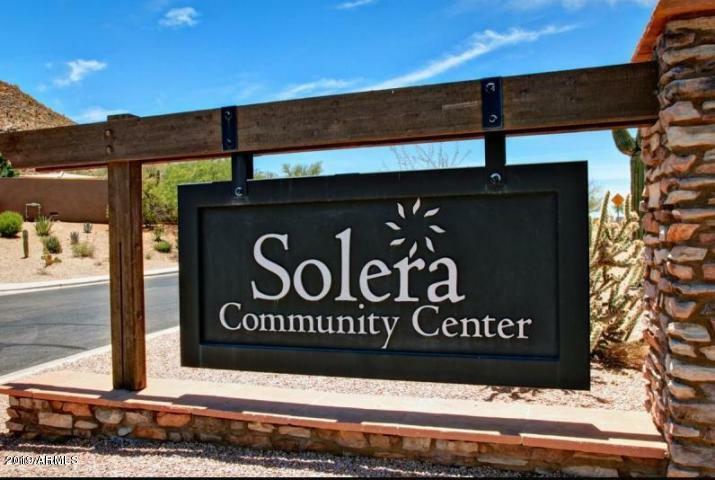 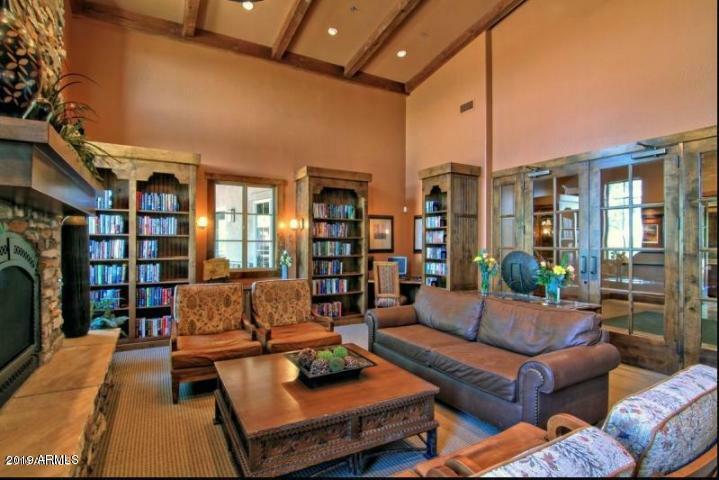 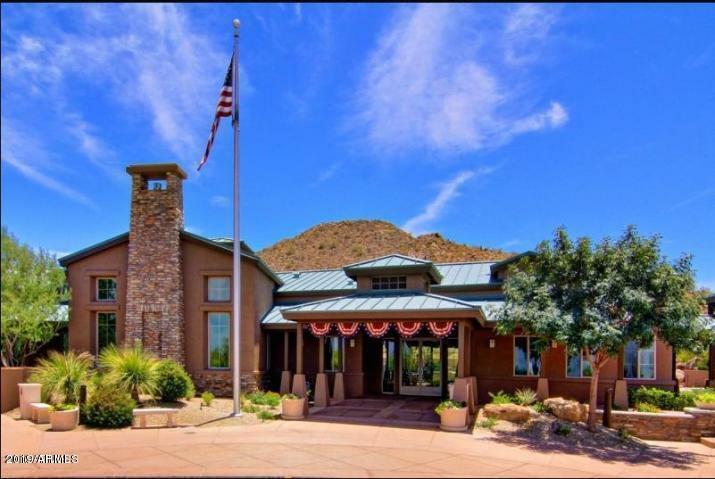 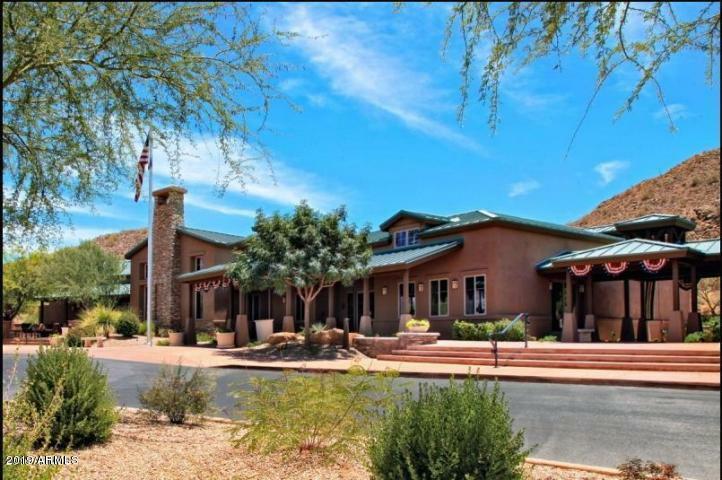 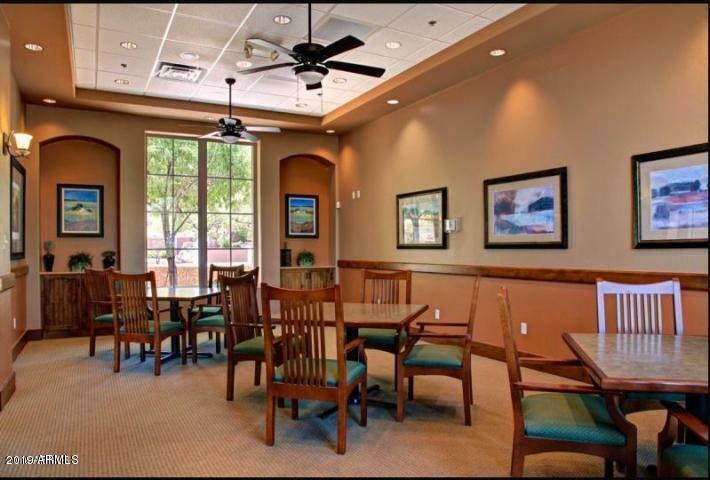 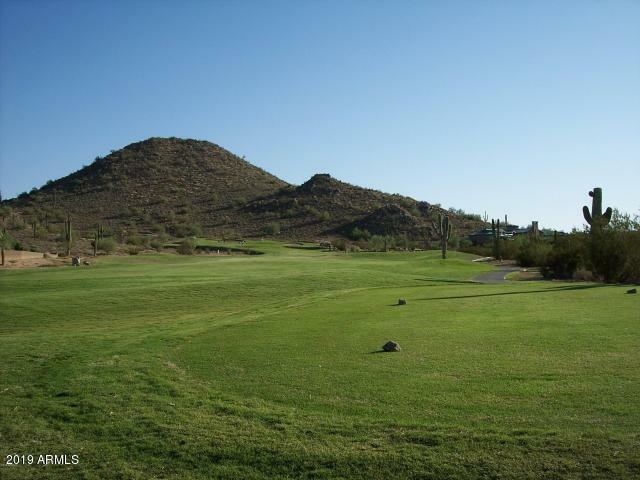 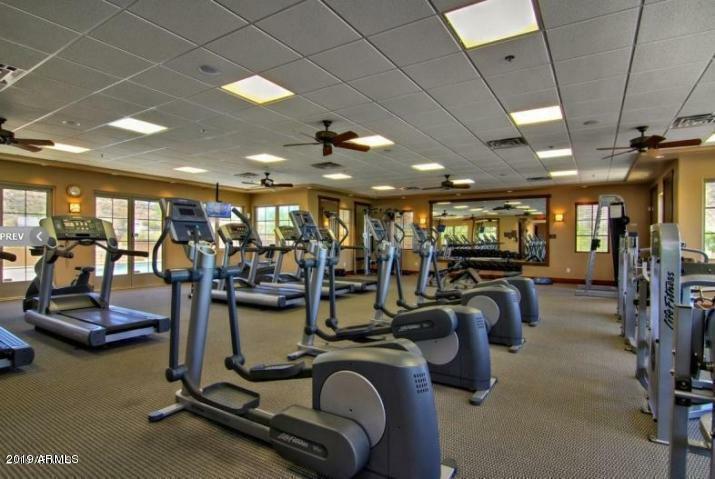 Gated adult living community with an amazing recreation center, heated pool and spa, fitness room, bocce, billiards, crafts, pickleball, library, golf course and lot's of activities throughout the year to do. 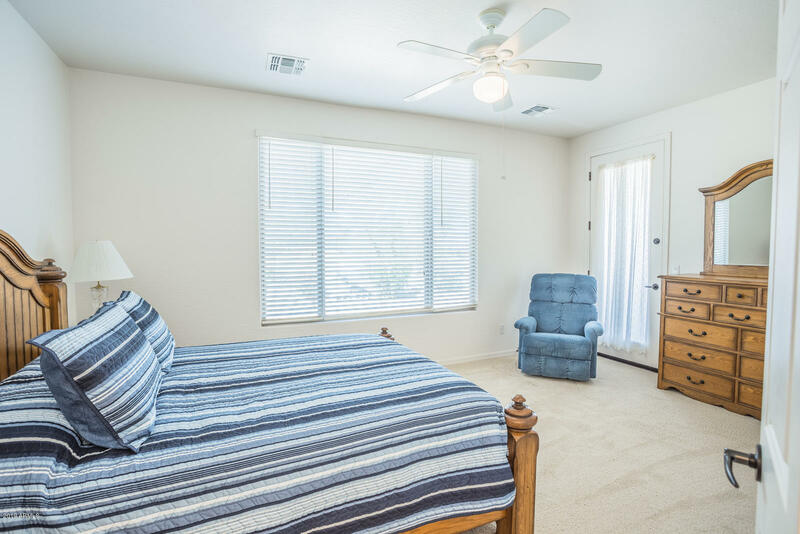 Move in ready, furniture available, car available. 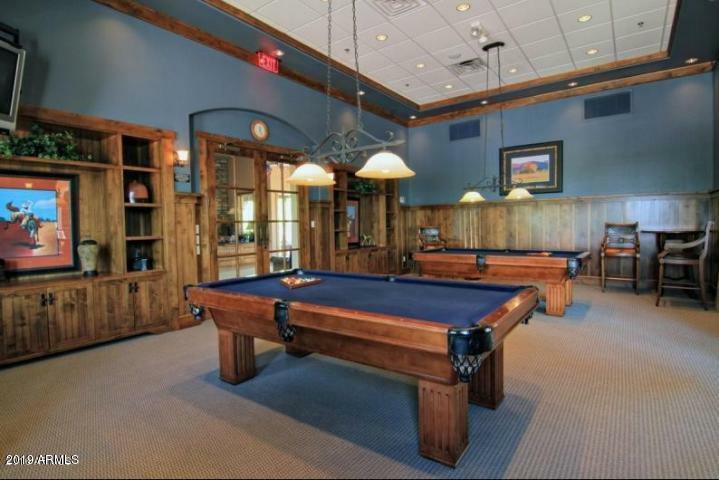 Have a look for yourself.